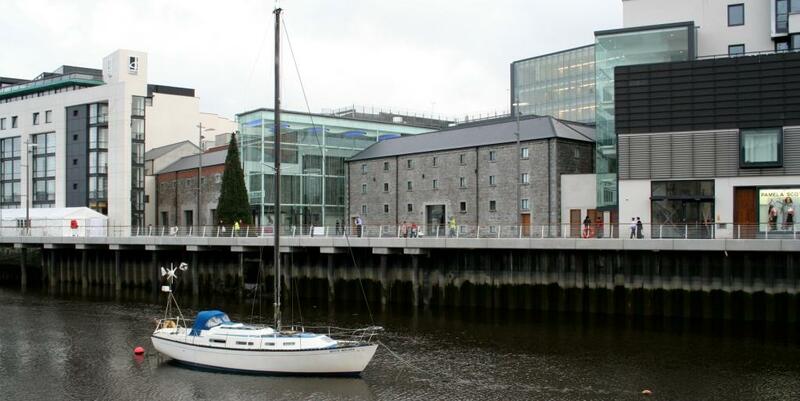 200-million Euro mixed-use development on the Banks of the Boyne in Drogheda. The local planning authority was keen to see the creation of a 24-hour living environment and so the need to create public spaces was vital to the overall design of Scotch Hall. As a result Douglas Wallace focused on conceiving a riverfront walkway that boasts restaurants, bars and a 100 bedroom, luxury four-star hotel. Elegant white railings sweep along the quayside pedestrian walkways. Complex in construction they are inclined away from the river for both safety and aesthetics. Such a corrosive seaboard location demanded the protection of galvanizing if maintenance costs were to be minimised. Additionally, after fabrication, the railings were shot blasted to roughen the surface. This increases the zinc pick-up by about 50% in the galvanizing process giving the steel even greater protection. After hot dip galvanizing they were finished by Galco with white GALVACOAT®.